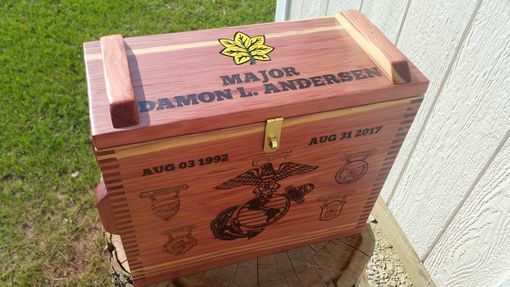 Do you have a loved one retiring from the military? Someone you care about graduating from boot camp or the police academy? 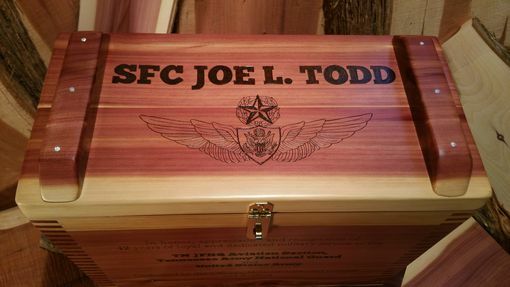 Or are you thinking of getting them a memorable birthday gift to commemorate their service? Then these personalized ammo boxes are a great option. 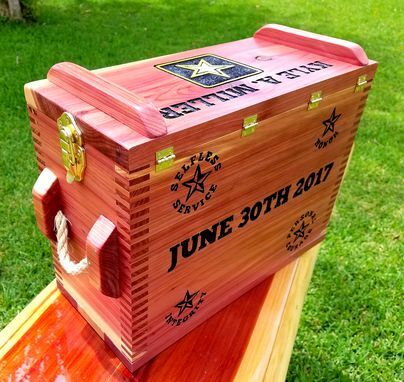 The aromatic cedar deluxe ammo box will be personalized however you would like on UP TO THREE SIDES: top, front and back. They are completely handmade with 1/4" box joints, brass hinges, authentic rope handles and brass latching clasps. The bottom is made of 1/2" cedar and red oak. Box measures approximately 16"L x 7"W x 12"H. Dimensions of each box can vary within about 1" of these measurements. Finished with four coats of spar urethane on the outside. 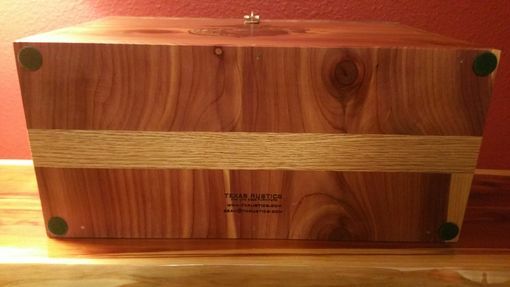 The inside is left unfinished and retains the aromatic scent of eastern red cedar. 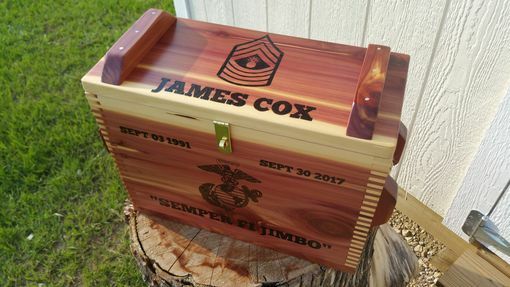 Send me a note and provide some details on what you would like your ammo box to say. 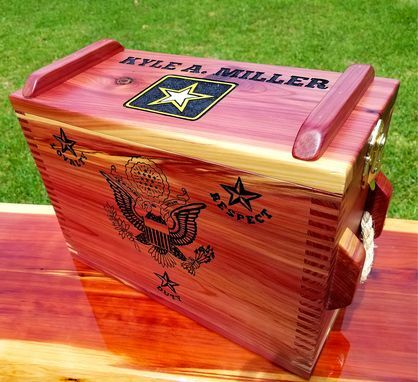 I will get to work on a design and send you the exact template that will be used to build the box with my proposal.